PHEW ~! This offering from two of our regular constructors really forced me to dig down deep, and there was a point when I thought "I'd better give in", but I held my ground and got my "Ta-Da", and under my personal allotted time, too. Doug Peterson has contributed several times to other Saturday 'gridsmiths', and has possibly set a record for having his name associated with 4 (LAT) puzzles in a month - this month. Of course, Brad is no slouch, either, with 8 Saturday puzzles this year, and one other Saturday contribution from both guys, Feb 5th this year. 14A. Flock tender : RELIGIOUS LEADER - Well, I knew it was something like this, but I was also thinking it might just be a reeeeally long version of "shepherd"
17A. Style eschewing heavy sauces : NOUVELLE CUISINE - Never heard of this style, but I do know our group here at the blog has shared many a recipe over the time I have been visiting. 35A. Brain cramp, so to speak : LAPSE IN JUDGMENT - More commonly known around here as a Brain "Fart"
9. Described in letters : SPELT - Shall we start a dispute over SPELLED? I thought it was "written on paper" letters, so I tried WROTE first. 19. 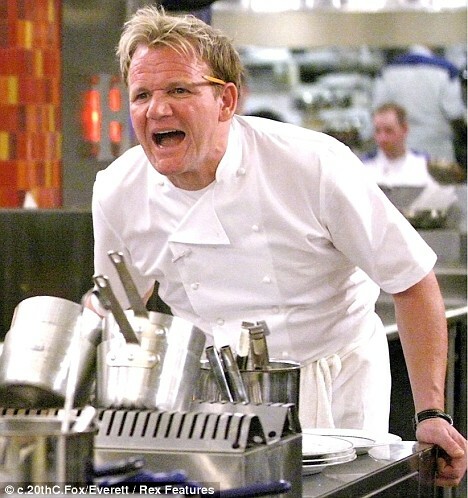 Trattoria offering : RISOTTO - Makes me think of Chef Gordon Ramsay from "Hell's Kitchen"
37. Like Schoenberg's "Moses und Aron" : ATONAL - Well now, we just talked about this yesterday - and another link - Egad ~!!! 38. Enjoying the mall, say : ON A SPREE - SHOPPING fit, too, but then I knew one "E" was right, so I WAGed this, and ha ~! 39. Wyoming's __ Range : TETON - Again, one of those "oh~! I know this...."
2. Its atomic number is 10 : NEON - Again, the "N" was good, what else could it be~? 8. Only non-rhyming ghost in Ms. Pac-Man : SUE - Blinky, Pinky, Inky and "Mr." Pac-Man's fourth, do you know~? I do, I do ~! 16. Aparicio of Cooperstown : LUIS - as always, I defer to our most highly appreciated host (From C.C. : Every year we splurge on Topps Heritage cards. One of our best pulls is an autographed Luis Aparicio card (in limited number). 29. Nice sibling : FRÈRE - Nice the French city. Earworm ~! 43. Casino conveniences : ATMs - an alteration on our CW staple - Casinos love 'em~! 46. QB Jim Kelly was its 1984 MVP : USFL - Yeah, I remember this, but at first I thought BOWL, but knew it was an abbr. THEME: The old reverse, a DOSE DOUBLE of our own Marti, blogging and constructing. Each of the theme answers are alliterative familiar phrases where the original first words are reversed with the second word clued to inspire much hilarity. It is always a special day to write up the work of one of our own, our New England nightingale, Marti. This was almost an easy Friday but it had pitfalls. 18A. Daily take in the Lumber department? : BOARD BREAD. A Bread Board is a cutting board for Pain (french for bread) rather than money derived from the sale of wood. 23A. Revenue in Lingerie? : SLIP SALES. Don't let your wife see the SALES SLIP from Victoria's Secret, unless you bought it for her. 40A. Outlay in Electronics? : POWER PURCHASING. You must have lots of Purchasing Power to keep up with all the electronic devices to buy. 51A. Merchandise capacity in Men's Wear? : SUIT SPACE. Do you own a SPACE SUIT? Halloween? I do not own many suits anymore, so my closet has lots of space. 60A. Display case in Wine & Spirits? : STILL STAND. The traffic was at a STAND STILL. STILL being the abbreviation for Distillery. 1. Constantly: EVER. I am constantly amazed at the talent in our group. 5. Numbers, e.g : DATA. 9. Longing words: I HOPE. I hope Marti and I puzzle and amuse you. 14. New Zealand fruit : KIWI. 15. Open-mouthed: AGOG. An A word. 16. Cinched, with "up: SEWED. 17. Univ. seniors' tests: GRES. Graduate Record Examinations. 22. Currency of Freetown: LEONE. The Capitol and Capital of Sierra Leone. 26. Guys' mates: GALS. What about DOLLS? (3:14) Surprised? 30. Rash protection: TALC. Next time I contemplate doing something rash I need to get some powder! 31. Over the top: TOO TOO. Tootsie goodbye. 33. "Third Rock From the Sun" family, e.g : ETS. Our old extraterrestrial friends. John Lithgow is a fine actor. 36. There's often a colon in one: RATIO. 35:7 as 5:? 43. Jejune: INANE. from the Latin Jejunus, empty of food. 44. Spider-Man Parker: PETER. Alliterative alter ego. Fits the theme. 45. "Don't think so": NAH. 46. First tea sold in individual packets: SALADA. But Lipton introduced the flow through tea bag. 48. Cupid counterpart: EROS. Roman and Greek. 50. Blondie drummer Burke: CLEM. Wow, this was obscure for me, and I liked Debbie Harry. 65. Shamu, for one: ORCA. What a nice way to say killer whale. 66. "Hill Street Blues" actress: HAMEL. VERONICA. 68. "JAG" spin-off: NCIS. My brother's favorite show, I have just started to watch. 69. Fail to hold up, as a bank: ERODE. Really witty clue, not a money bank, a river bank. 70. Contributes: ADDS. To the delinquency of a minor? 71. 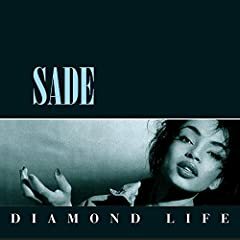 Band with the debut album "Diamond Life": SADE. 1. ER lines: EKGS. How appropriate for me. 3. Controversial Gettysburg general: EWELL. You AGREE? 5. Blot away, as a tear: DAB. How many other than me thought of Brylcreem when the answer appeared? 6. Back in time: AGO. 8. Go along: AGREE. needed between husbands and wives, see below. 9. Dust jacket no. : ISBN. International Standard Book Number. 11. Be in debt: OWE. 12. Green shade: PEA. Better than pee red. 13. Byrnes of "77 Sunset Strip": EDD. Known as Kookie. 19. "__ thou love me? ": Juliet: DOST. Did anyone watch Letters to Juliet? 21. Bickered: SPARRED. verbal sparring, see below. 24. __ shot : SLAP. Hockey term and a possible answer for the theme. 25. Go on the fritz: ACT UP. Do you think the phrase on the fritz is onomatopoetic? 27. "It's __ line between love and hate": 1971 song lyric: A THIN. Not only a song lyric, by the Persuaders, but as one who practiced divorce law for a very short time, it is all too true. 28. Doone in Exmoor: LORNA. By Richard Doddridge Blackmore, she was a sharp cookie. 29. Murmuring sound: SOUGH. Pronounced 'sou' my learning moment. 32. Like some soap: ON A ROPE. More American marketing genius, just don't drop it in the shower. 33. Certain Prot : EPISC.Opalians. Marti's Meh for the day. 35. Wet lowland: SWALE. They all belong to the city in Ft. Lauderdale. 41. Like much Le Creuset cookware: ENAMELED. 42. Oft-embroidered word: HERS. Or His on the towels. 47. Yard sale proviso: AS IS. Most foreclosed homes are sold this way. 49. Battle of Hastings fighters: SAXONS. Fought in 1066 with the Normans. 53. "Huh?" response opening: I SAID. Weren't you listening DEAR! 54. About: CIRCA. From the Latin meaning around, approximately. 57. M.'s counterpart: MLLE. M. is the French abbreviation for Monsieur (Mr.), MLLE for Mademoiselle (Miss). 59. Simplicity: EASE. We are on a roll now. 60. Petal-plucking pronoun: SHE. Loves, She loves me knot? 61. Main man? : TAR. The bounding Main, nice clue. 62. Chatspeak qualifier: IMO. In My Opinion. 63. Approval of a kind: NOD. Nod my first choice. 64. Some NFL linemen: DTS. Defensive Tackles. I was a bit defensive when I first tackled this fun Friday, but it is now done and time to get ready for a new year. Peace and good health to all. Well my work here for the year is done. By next year I may have my strength and wit back, until then enjoy. Here are a few wonderful photos Husker Gary took of his local golf course. Click Next to view all of them. I've never seen a green so brown. And you do have to “listen” to the starts of the starred answers to get this theme, “Do I Hear a Waltz?”, which is a rather obscure musical by Arthur Laurents, with music by Rodgers and lyrics by Sondheim, from a 1952 play “The Time of the Cuckoo”, also the basis for the1955 film “Summertime” starring Katherine Hepburn. Whew! I won’t say how long it took me to “get” this one. But it was satisfying to finally get it, after all. I can’t say if other solvers would be enamored of this theme, but as a constructor, I thought it was absolutely brilliant! To find five entries that make up the title of a musical, including a pluralization of a pronoun (“Walts”), with each word an exact homophone of the corresponding movie title words...it just astounds me. Kudos to you, Ed Sessa, and do stop by today and let us know what was the seed entry for this one? My guess would be “Walts”?!? 5. Step like Bigfoot : TROMP. I would much prefer a clue like "Step on the accelerator, like on the autobahn..."
10. Panache : DASH. Someone who has panache is "dashing", or they could just be going o'er the fields in a one horse open sleigh. 14. Two-time Italian prime minister Moro : ALDO. Kidnapped by the infamous Italian left-wing Red Brigade, and then killed. 15. Writer who said, "I am not young enough to know everything" : WILDE. Oscar. 20. Factor in the Andrea Doria/Stockholm collision : DENSE FOG. In what could have been an epic disaster on the scale of the Titanic sinking, "only" 46 people lost their lives off the coast of Nantucket in this accident. 21. Water pipes : MAINS. Anyone else think of these? 23. Portmanteau name for an O-Cedar cleaning product : SCRUNGE. For "scrubbing sponge". 30. Shower accessory : LOOFA. 36. Navigational suffix : ERN. East-ern, south-ern, west-ern, north-ern. Or, this crosswordese sea bird. 37. Bleach : DECOLOR. Hmm, do you know any "decolored" blondes? 40. Magic org. : NBA. Hah! I am finally "getting" these clues for Magic, Jazz, etc. 43. Word game piece : TILE. I am playing online scrabble with my BFF of 47 years. The TILEs are quite realistic! 44. V8's veggies, e.g. : OCTET. Duh, a real V8 moment, when I realized that the "8" in V8 refers to the number of veggies in there!! 52. Sit in a cellar : AGE. I showed Dudley my wine cellar today, but the wines in there don't sit very long. 53. Have because of : OWE TO. Awkward one to clue. 54. As a point of fact : ACTUALLY. 62. Woody scent : PINE. Can't you just smell it? 65. Cast topper : STAR. I thought of Yellowrocks and her recent cast. 1. Teen safety gp. : SADD. Students Against Drunk Driving. 5. Broadway deal : TWO-FER. Why "Broadway"? Isn't any two-for one sale a "deal"? 10. Assumed value : DEFAULT. Anyone else have a problem with this definition? I thought de fault was all in de failure of de guy to pay his debt. 11. Plumb tuckered out : ALL-IN. In Texas Hold-em poker, an "All-in" bet means putting all your remaining chips into the pot. Maybe it's because the player is plumb tuckered out and just wants to go back to his hotel room to get some sleep? 18. Prepare to shoot again : RELOAD. Guns or cameras? 19. Katz of "Hocus Pocus" : OMRI. This kid. 23. Hot : STOLEN. Great clue/answer! 24. Dear, to Donizetti : CARO. My chance to link opera! (3:04) Giuseppe Giordani is credited for composing the song "Caro Mio Ben" in his opera "L'Epponia", but it is suggested that the song actually pre-dated it by some 50 years. 25. Shasta no. : ELEV. For some reason, I filled this in without even thinking about it. 35. Hudson of "Almost Famous" : KATE. She's so pretty, I don't know why she hides half her face with her DECOLORED hair. 42. Toward that place, to Shakespeare : THITHER...and yon. 48. Antique dealers, at times : DATERS. I wonder if they meet their dates on match.com? I'd probably kiss him for thinking I was so young. 56. Currency discontinued in 2002 : LIRE. Plural of "lira", the old Italian currency. When I lived in Italy in 1988, a bottle of water (1 liter) cost 2000 lire. A bottle of the local wine was 1000 lire. Guess what I drank? 60. Hillbilly relative : PAW. So now I'm plumb tuckered out, and off to bed! Theme: Knock-knock. Who's There? For good or for ill, the root of many jokes. Share your favorites in comments. Theme song No. 1. Theme song No. 2. Here, the theme answers end in a word that is synonymous with KNOCK. Knock can be a forceful physical contact, or severe criticism - as used here. 17A. Ice Cube genre : GANGSTA RAP. Ice Cube is a rap artist. I will not link. But OTOH, I will not give him a bad RAP. 25A. It's not as bad as the fire, metaphorically : FRYING PAN. From the FRYING PAN to the fire is just making a bad situation worse. A critic would PAN that action. 37A. Bases loaded opportunity : GRAND SLAM. This occurs when you bid and make a contract to take all 13 tricks. Wait. Hold on - this is from C.C. so we must have baseball. That GRAND SLAM is a home run hit with the bases loaded. Would you SLAM me for referring to bridge? 52A. All out : FULL BLAST. Holding nothing back. Amping it up to 11. Blogging this puzzle is a BLAST, so I won't BLAST it. Hi gang, it's JazzBumpa, and that's no joke. Our dynamic - and prolific - duo has come up with another Wednesday challenge. Are we up to it? 1. Actor Alan: LADD. We could also include Cheryl Jean Stoppelmoor, who married Alan LADD's son David, and kept her married name after their divorce, probably because it's easier to spell. Actually I think Cheryl is more of a lass. 5. Vegas draw, with "the" : STRIP. The L.V. STRIP is a little over 4 miles of Las Vegas Blvd. extending outside the city limits, and home to many tourist attractions. 10. Pumped ride : BIKE. You pump up the tires, and peddle it all over town - until you get tired. 15. Hot and bothered : IRATE. Angered. That is one interpretation. Vide infra. 16. Like some graffiti: Abbr. : ANON. Anonymous. Unsigned artwork. 19. Bar flier : DART. Darts are thrown in bars and pubs. Clever play on "bar fly." 20. Molding that sounds like two letters : OGEE, Oh, gee, It looks like an "S."
21. "The Big Easy" golfer : ELS. Ernie. "Big Easy" is his nickname. I did not know that. 22. Legal suffix : ESE. I dont speak legalESE. 23. Faun-like deity : SATYR. Perpetually hot and bothered mythical goat-man entity. Knock-knock. Who's there? It's a SATYR. It's a SATYR who? It's a SATYRday night. C'mon out and party, you old goat. 28. Size up : EYE-BALL. This could mean study carefully, ogle, or make a rough visual estimate. Knock . . . on second thought, we'll let this one go. 30. Prolonged pain : AGONY. 31. City near Pheonix : MESA. Also, third largest in the state, after Phoenix and Tucson. Number 10 is a Surprise. 32. Dog bones destiny, perhaps : BURIAL. Do dogs really do this, or is it only in cartoons? 36. Macavity creator's monogram: T.S.E. T.S. Elliott takes us from dogs to CATS. Macavity is one of the jellicles. 40. U.S. Airways has one in Phoenix : HUB. Back to Arizona. An airline hub is an airport used as a transfer point among major destinations. 43. Sitcom planet people : ORKANS. In the TV series Mork and Mindy, Mork was from Ork, and Orson was still there. Knock knock Who's there. Mork. Mork who? Mork canned laughter - it's TV! Nanu, nanu! 44. Big name in direct sales : AVON. Ding-dong. Who's there? Avon: Purveyor of makeup, skincare, hair care, fragrance, bath and body products, marketed right inside your home (if you let them in), and famous for their trade mark, "AVON calling" tag line. 48. Pasta pkg. purchase : ONE LB. Oodles of noodles? Nope, only ONE LB. 50. Fifi's "Wow!" : OOH-LA LA. 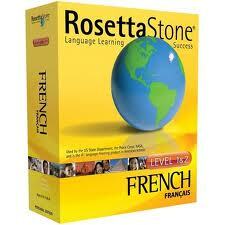 From About.com we learn: The French phrase oh là là isn't so much an expression as an interjection. It can indicate surprise, disappointment, commiseration, distress, annoyance... any moderately strong reaction to something that was just said or done. It can be strengthened with additional là's, always in pairs. I guess WOW! works. Maybe even in a SATYRical way. 56. Draw a bead on : AIM AT. EYE BALL the thing in your sights. 57. Hefty sandwich : SUB. SUBmarine, hoagy, grinder, Dagwood . . .
58. Philosophy ending : ISM. Suffix for any belief system, not necessarily philosophical. 59. Therefore : ERGO. We just has this one yesterday, ERGO, the word for the week. 60. Gambit : RUSE. I wanted PLOY. Either way, a cunning or devious action used to gain an advantage. 65. "Very funny!" : HA-HA. Likely response to a KNOCK-KNOCK joke. 66. Goosebump-inducing : EERIE. Weird, outre, spooky . . .
67. Morales in movies : ESAI. One of those movie lads. 68. Lena of "Chocolat" : OLIN. Definitely a lass. 69. More than fear : DREAD. Of something EERIER, perhaps. 70. Actor Bruce : DERN. We could include Laura and have a father-daughter acting pair. Just to bring it full circle, Laura's mother is actress Diane LADD, who is related to Tennessee Williams, but not to Alan LADD. Can't keep them straight without a program. 2. Palindromic Altar : ARA is Latin for Altar, it is one of the 48 constellations described in the 2nd Century by Ptolemy, and one of the 88 recognized by the International Astronomy Union. 3. Indicates : DENOTES. Frex: the fourth line on the treble clef DENOTES D notes. 4. Takeout request : DOGGY BAG. For taking left overs. out of the restaurant I just ask for a box. 5. Online destination : SITE. Like this blog. I like this blog. 6. Singing syllable : TRA. Nonsense non-word, sometimes found in songs. 7. Harder to find : RARER. 8. Apennines locate : ITALY. The mountainous backbone of the Italian peninsula. 9. Soft drink choice: PEPSI. Some chose Coke. 10. Good for nothing : BAD EGG. Probably not as bad as an evil doer, villain, or black hat. 11. Up the creek : IN A SPOT. Or in a fix. 12. Seoul mates? : KOREANS. Seoul is the capital of Korea. Capital Korean lovers would be Seoul mates. So, is the Korean National Anthem Seoul Music? 13. Tonsillitis M.D. : E.N.T. Ears, Nose and Throat specialist. M.D. is a hint that the answer will be an abbreviation. 23. Divinity sch. : SEM. Seminary. 'Nother Abbrv. 24. Seamans' agreement : AYE. Nautical talk for "Yes." 25. Fail : FLUNK. You could get slammed for dong that. 26. Disney lioness : NALA. From The Lion King. 27. "Science Guy" Bill : NYE. He explained everything. 29. Angle iron : L-BAR. Is this better than I-Bar? 33. Old vitamin no. : R.D.A. Recommended Daily Allowance. Now it's D.V. - Daily Value. 34. Playground retort : IS NOT. Is too. Is not . . .
35. To boot : ALSO. 38. Lynda Bird's married name : ROBB. President Johnson's elder daughter Linda married Marine Captain Charles Robb after being engaged to Bernard Rosenbach, whom she dropped to date actor George Hamilton. Robb went on to be Lieutenant Governor and then Governor of Virginia, and later two-term senator from Virginia. 39. Bad-mouthed : MALIGNED. A bonus synonym for KNOCKED. 40. Pro football's is in Canton, Oh. : H.O.F. Hall Of Fame. 41. Strange : UNUSUAL. Less than EERIE. 42. "The Blues Brothers" co-star : BELUSHI. John, along with Dan Akroyd, were Famous Chicago Blues Men. 45. "Scram!" : VAMOOSE. Get outta here! A corruption of Spanish vamanos. 46. Pay extension? : OLA. A suffix. PayOLA was an illegal scheme to bribe radio stations to plug certain pop music songs, back in the 50's. 49. J.Crew rival : L.L. BEAN. Mail order clothing and accessories. 51. "Listen!" : HARK. Pay attention! 53. Went for : LIKED. 54. Actor with seven Emmys : ASNER. Ed. He was great as Lou Grant. 55. Gooey treat : S'MORE. Toasted marshmallow and a chocolate square tucked between graham crackers. One good way to get sticky fingers. 59. Squeezed (out) : EKED. This frequently gets squeezed into crossword puzzles. 60. P, to Plato : RHO. The Greek letter RHO looks like a "P", but is really an "R." Confused? This should be easy as PI. 62. "The Company," briefly : C.I.A. A TV miniseries from 2007 about the Central Intelligence Agency's operations over the decades following WW II. 63. Golf, for one. : CAR. Automobile - a Volkswagen, to be specific. 64. Mom and pop : KIN. In our family, it's all relative. Well, that about RAPs it up. Hope you had a BLAST like I did. "Our original unifier for this puzzle is SMEAR CAMPAIGN (to be placed in the very middle of the grid). Rich felt SMEAR has an indication of falseness in it, while our other criticism words do not. He suggested "knock". Don and I went with KNOCK KNOCK and revised our other theme entries." Theme: Things Are Looking Up - Four types of skies sit atop the four tallest column entries with the unifier in the center. Argyle here. I am a bit confused by the unifier. In what way are NIGHT, BIG, CLEAR, AND BLUE considered to be SKYCAPS? Because they are in capital letters? I was feeling this was meh at the start, until I saw 8-Down and then things perked up. I should have noticed from the grid that the themes were in the vertical. Although 42-Across(plural HE) sets my teeth on edge, Jeff has given us decent Tuesday fare. 17. All the world, to Shakespeare : STAGE. And we are but players. 20. Farm peeper : CHICK. I know a few of us can remember getting those little peepers through the mail. My goodness, you still can! Site. 27. Little piggy : TOE. And squealed, "Wee, wee wee, all the way home". Not considered singing. 29. "A mouse!" : "EEK!". Another squeal. 31. Castro's smokes : CUBANS. He gets them at the source. 35. "2001" computer : HAL. (Heuristically programmed ALgorithmic computer) 2001: A Space Odyssey, directed by Stanley Kubrick, was produced in 1968. 37. Christina of "The Addams Family" : RICCI. 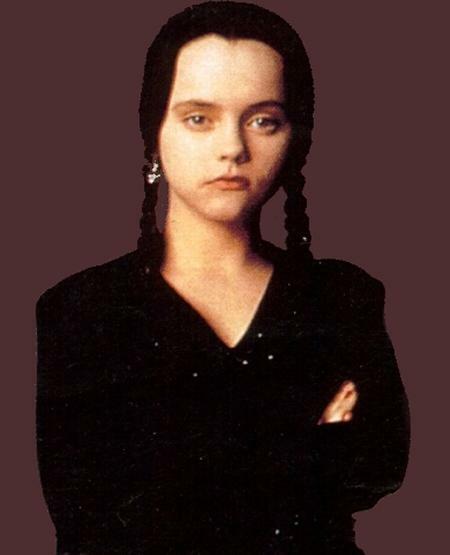 Christina Ricci as Wednesday Addams. 45. "It follows that ?" : ERGO. Why the question mark? 50. Swingers' gp.? : PGA. Pro golfers. 51. Sound of relief : "SIGH". Not to be confused with the huffy sigh or the sigh of resignation. 60. "Aha!" : "I SEE!" 63. Insurance spokeslizard : GECKO. If the Geico gecko fought the Aflac duck, who would win? 10. Whacked gift holder : PINATA. And the provider of many clips on America's Funniest Home Videos. 14. "I'd just as soon kiss a Wookiee" speaker : LEIA. Star Wars. 23. Liquid in un lago : AGUA. Over in Lago di Como, Italia. 24. "Push-up" garment : BRA. Gotta think of Dennis! Image. 30. U.K. record label : EMI. A list of their artists. There is a lot of them, too. 43. Author Bombeck : ERMA. "The Grass Is Always Greener Over the Septic Tank" and she's right you know. 48. Builds a deck for, say : ADDS TO. Clue/answer seem a little off. 62. Carrere of "Wayne's World" : TIA. Bra? What bra? Image. Belated Happy Birthday to Andrea & Steve (???). I've added you to our blog birthday list. Won't miss it next year. And Happy Birthday to our dashing pilot Dudley. Here are a few beautiful photos from our blog photo archive. Theme: Bill of Rights - "Congress shall make no law respecting an establishment of religion, or prohibiting the free exercise thereof; or abridging the freedom of speech, or of the press; or the right of the people peaceably to assemble, and to petition the Government for a redress of grievances." 20. 2010 Best Picture about a stammering royal : "THE KING'S SPEECH"
Argyle here. Some slight nits can be forgiven to provide us with two spanners and two near spanners. I didn't have the theme before the unifier but I didn't need it anyway. In fact, I didn't see several answers until I did the write-up. 1. Abbr. in an abbreviated list : ET AL. 5. In the dumps : GLUM. I discovered I still had the red letter help on when I entered BLUE. 14. Lucy Lawless role : XENA. TV series. 23. Lawyers' org. : ABA. The American Bar Association. 25. Followers of els : EMs. Alphabetically. 32. Massage reaction : "AAH"
38. Like the Reaper : GRIM. Note that Reaper is capitalize, indicating a particular REAPER. 61. "By __!" : JOVE. Interesting pairing. 3. Henry VIII's second or fourth wife : ANNE. Anne Boleyn, m. 1533 - 1536, Executed - Anne of Cleves, m. 1540 Jan. - July, Divorced. 5. Caribbean island nation : GRENADA. Map. 6. "Auld __ Syne" : LANG. Next week. 7. "Battle Cry" author Leon : URIS. His two bestselling books were Exodus, published in 1958, and Trinity, in 1976. "Battle Cry" was his first novel. 9. Basketball official : REFEREE. Not sure if I've seen the whole word before. Usually we only get REF. 13. Response to the obvious : "DUH". D'OH! would be Homer's oblivious response. 36. Ambulance worker, briefly : EMT. Emergency Medical Technician. 37. Cosmo, for one : MAG. Both are shortened words, Cosmopolitan and magazine, but not considered abbreviations. 45. Inflamed : IRED. Did you get caught thinking of a medical condition? 52. PR tax with a Medicare component : FICA. PR stands for Payroll. This definition appears very rarely. Per www.acronymfinder.com.